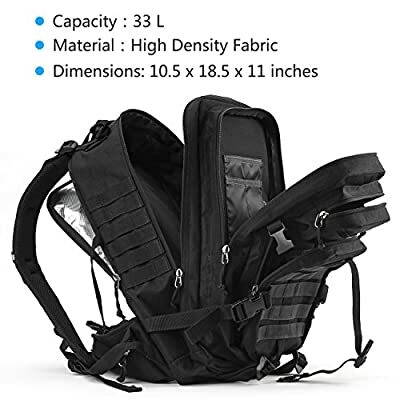 This RUPUMPACK tactical backpack is a high performance multipurpose backpack that can be widely used for outdoor adventures, cycling, weekend out, mountaineering, hiking, trekking, camping, hunting, travel and more. 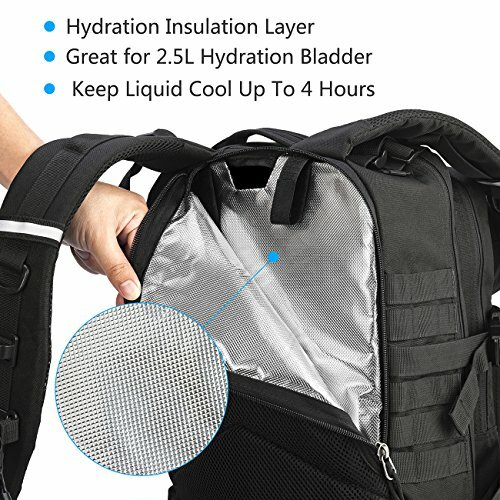 With a insulation interlayer which works great for 2.5L hydration bladder, this pack can also be used as a hydration backpack or portable cooler for everyday carry or outdoors. This pack has multi-compartment and zippered closure pockets including interior zip pocket and mesh pocket for added storage options to meet your demands in daily life and outdoor activities. 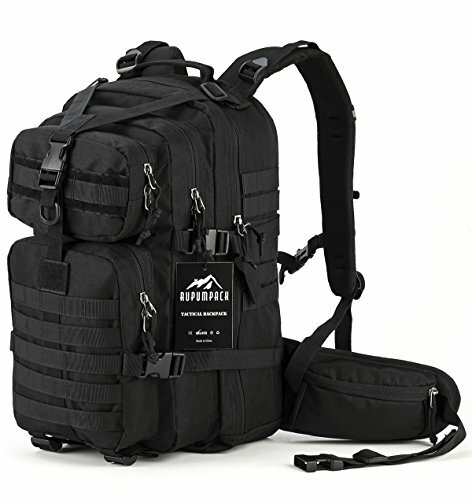 It is reliable and durable due to its high density fabric material, double-stitches, heavy duty zippers and safety reflectors on the shoulder straps. 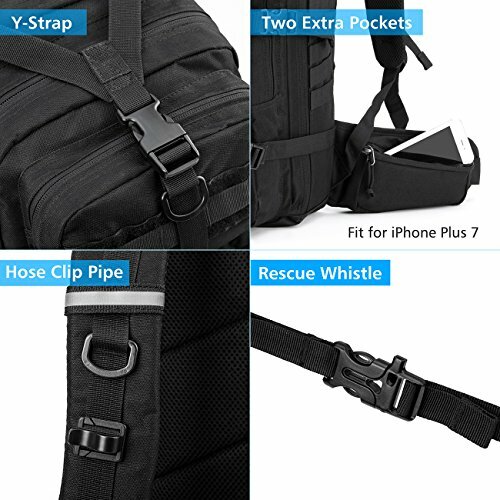 Additional features on this backpack include the extra two pockets on the wide waist straps for your phone and ventilated mesh padding in the back area and shoulder straps. 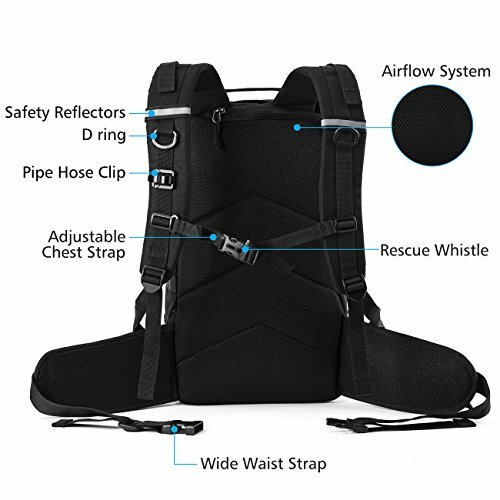 Our backpack also offers external compression straps for you to expand or compress to your load needs, adjustable shoulder straps, a centered sternum strap to ensure stability, and water resistant construction to keep your gear dry and secure in any climate. 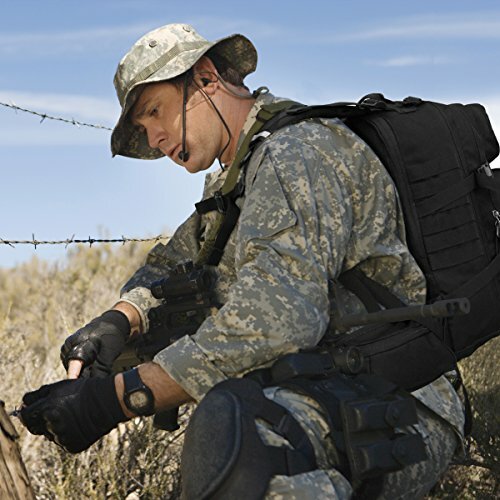 Our ingenious pack is amazing gear that really lightens your load! 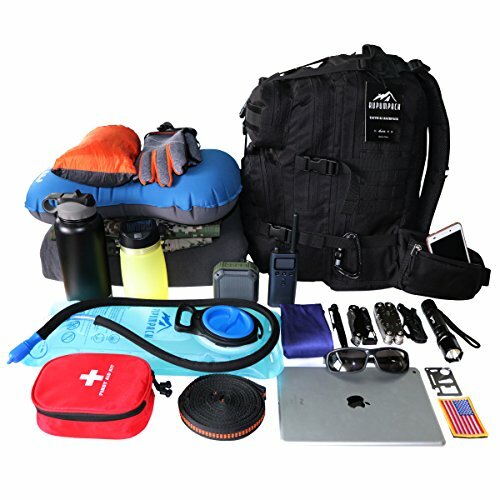 You only live once, so grab our pack and go outdoors to start a new journey!